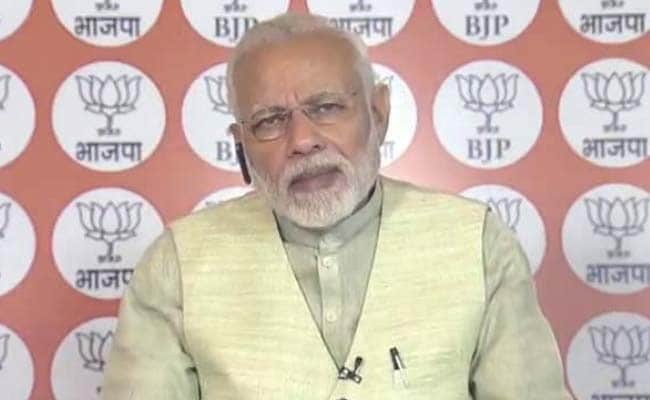 Ahead of Karnataka election, PM Narendra Modi, in an address to farmers of the state, said that his government has set a target to double farmers' income by 2022. PM Modi said farmers welfare has been a prime objective of his government. While addressing Kisan Morcha Karyakartas of Karnataka, Prime Minister Narendra Modi accused the Congress government in Karnataka of manipulating and misleading farmers. Speaking to the farmers' body via his NaMo app, PM Modi said farmers welfare has been a prime objective of his government and that agricultural schemes have been revitalised to benefit the farming community. Stressing on the importance of agriculture, he said that all budgets presented by his government are focused on agriculture, and steps have been taken to bring reforms in the farm sector. PM Modi said that his government has set a target to double farmers' income by 2022. Farmers' issues are at the centre of the poll campaign, as the BJP hopes to wrest the southern state from the Congress. Ahead of election day in Karnataka, the BJP -- in a bid to form a government again in the state -- has scheduled over 60 rallies. PM Modi is scheduled to address 15 rallies in different parts of the state. On the first day of his public meetings, he launched a searing attack on the Congress, targeting the party president Rahul Gandhi, in particular. Other rallies will be addressed by several senior leaders including BJP National President Amit Shah, Uttar Pradesh Chief Minister Yogi Adityanath, Defence Minister Nirmala Sitharaman, among others. Karnataka will vote on May 12, and results will be declared on May 15. 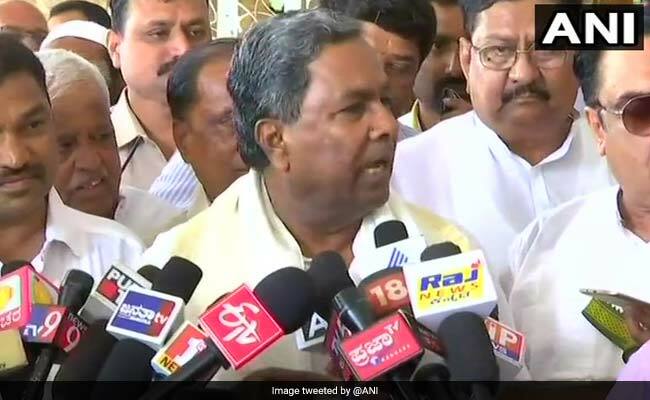 After Rahul Gandhi, Chief Minister Siddaramaiah challenges PM Modi, "to speak about the achievements of BS Yeddyurappa's Govt in Karnataka for 15 minutes by looking at a paper." BJP hits back at Mr Siddaramaiah, tweets: "Speaking of sharing credit where due, have you acknowledged that the lion share of expenses for Anna Bhagya scheme is borne by Union Govt? Modi Govt's share is 29.64 Rs/ KG of rice, while your govt spends Rs. 3"
PM Modi, in his address to Karnataka farmers, said 3.5 crore farmer have been covered under the Pradhan Mantri Fasal Bima Yojana (crop insurance scheme), out of which 14 lakh farmers belong to Karnataka. Chief Minister Siddaramaiah responds: "Govt of Karnataka paid 50% of the cost of the PM Fasal Beema Yojana. Ours is the only Govt in the country that has deployed IT to directly pay the insurance amount into farmers' account. Also crop insurance is old UPA scheme. So, have a heart & share credit where it is due," he said in a tweet. Prime Minister Narendra Modi today said the government is taking massive steps for reforms in the agricultural sector and reiterated the pledge to double farmers' income by 2022. Calling farmers "anndaata" (one who provides food) he said they are "supreme" and listed the steps the government has taken for their welfare.